February is a great time to inspire our kids to spread love and kindness to others. 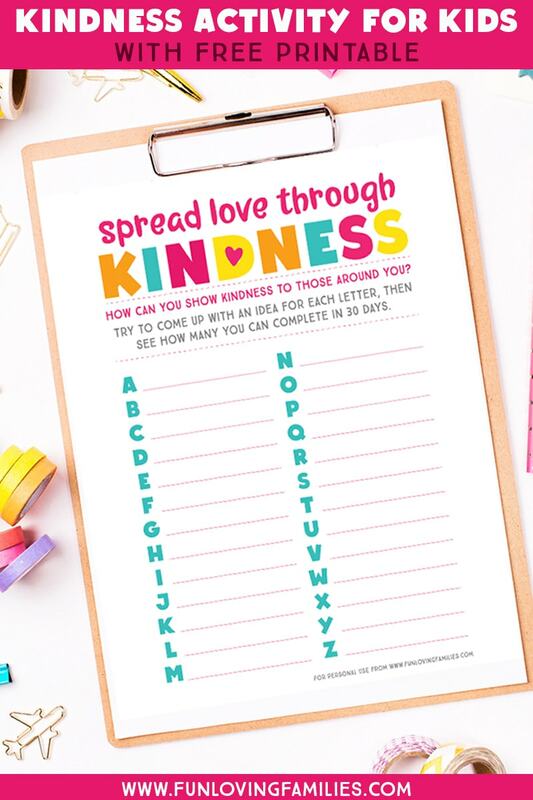 Here’s a simple activity to get them thinking about creative ways to show kindness to others. Is everyone up for a fun challenge today? Grab the kids and get the PDF download below. Then put some snacks at the table for everyone to munch on while you talk about ways to show kindness to others. With this activity, let the kids be as silly and creative as they want to be. second, they must be unmistakably KIND acts towards others. I love the way kindness challenges get people to be more intentional about how they treat others. And there are a lot of resources for coming up with ideas for acts of kindness. What I love about using this activity for brainstorming ideas is that the kids are really stretched to be creative and come up with their own ideas. Once the kids’ lists are complete, the bigger challenge becomes trying to complete as many acts of kindness as they can from their lists. Since the kids come up with their own lists, they’ll feel more of a sense of ownership over the challenge. 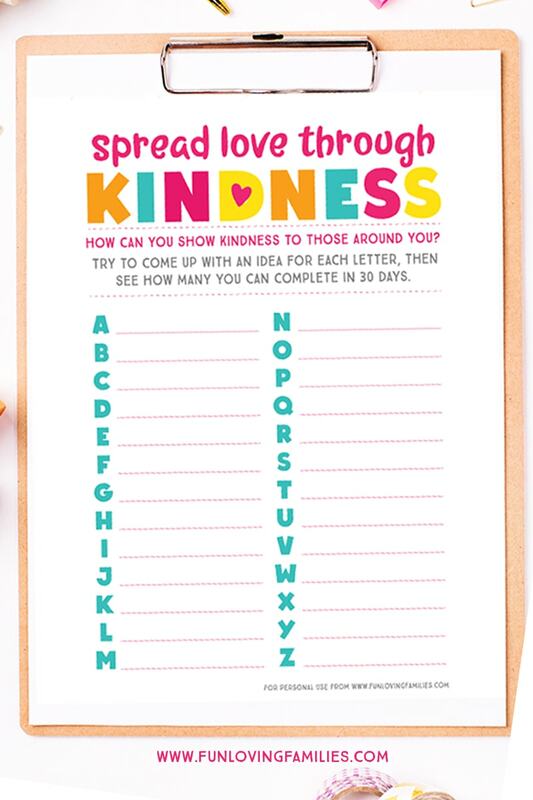 This kindness challenge for kids is perfect for February since we are already showing love and kindness around Valentine’s Day. But, there’s no reason why you can’t do this activity with the kids any time of the year. Grab the download below and have fun spreading love and kindness!